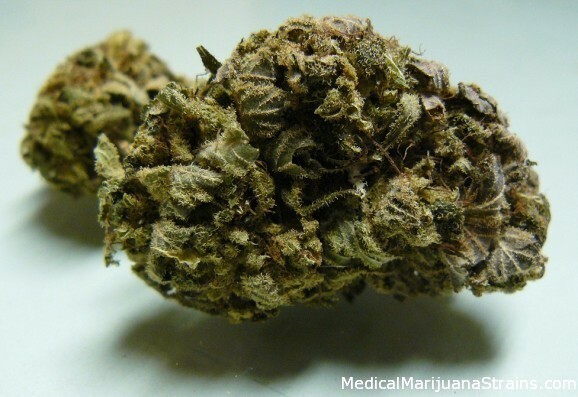 Type: Indica dominant hybrid – an unknown strain crossed with Sweet Tooth. Looks: Large, dark green and extremely dense buds. Smell: Strong earthy smell. Musky. Almost a classic “brown weed” stink. Taste: Not quite as heavy as the smell with more sweetness. Very smooth and expansive. Effects: Immediate and heavy head buzz with noticeable body stimulant effect. Later it felt like a sleepy indica finish.